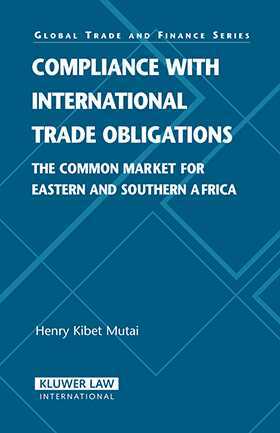 This important new book deals with the formation and regulation of regional trade agreements in the context of the WTO legal regime and Eastern and Southern African countries, specifically those nations that make up the Common Market for Eastern and Southern Africa (COMESA). Despite a poor track record, regional integration has for a long time been, and remains, the preferred path to economic development and poverty alleviation among developing countries in Africa. Regional integration undoubtedly holds great promise for developing nations in Africa. Many African countries stand to gain from pooling their meager resources and thus being able to participate more meaningfully in the international arena. However, the rhetoric surrounding integration has not been matched by actions and the record of trade liberalization has been weak. Substantive action appears to be taking a back seat to formal statements and declarations. This book consequently addresses four related critical issues: (1) compliance with rules and regime design, (2) the relationship between regionalism and multilateralism, (3) the legal regime created by Article XXIV and the Enabling Clause of the General Agreement on Tariffs and Trade, and (4) the COMESA legal regime. Provides readers with expert perspective on regional trade agreements, an area of growing concern to practitioners, academics, and government officials. Will squarely address a current lack of actionable analysis, applying an international relations perspective to the analysis of regional trade integration.